The Okanagan Valley in southern British Columbia is known for its beautiful beaches, pristine lakes and fruit production. In fact, this sweet snack is one of the main drivers of the local economy. 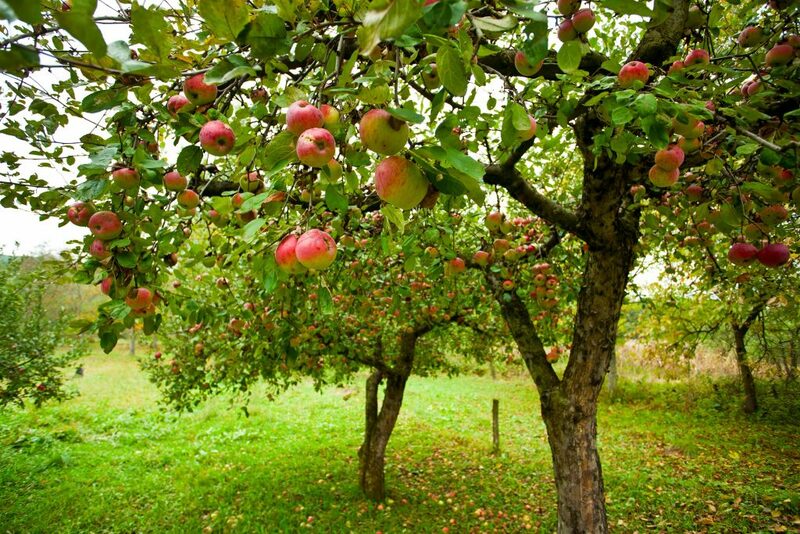 But did you know that nuclear science plays a key role in protecting apple crops? The value of tree fruit is almost a billion dollar per year business, making it one of the most important industries in the region. Apples reign king in the Okanagan, comprising over half of all planted land. However, fruit growers in the Okanagan region have not always made headlines for bumper crops. Pests and disease have seriously threatened the viability of orchard growers in the past and one culprit- the codling moth, has taken a huge bite out of the B.C. apple industry. This moth, or worm in your apple, directly attacks the fruit and can damage between 50-90% of crops. Using pesticides to control the moth and subsequent crop damage, brought with it negative environmental and health effects. The prolonged use of pesticides contributed to another challenge; immunity as the moths became resistant to chemicals. To find a solution that was safe for the environment while controlling the devastation caused by the codling moth, researchers looked to nuclear technology. The team at the Okanagan-Kootenay Sterile Insect Release Program has found success with the Sterile Insect Technique (SIT). This technique has been able to reduce fruit damage and control the codling moth population in the B.C. Interior, all while reducing the use of chemicals. And they’ve been doing it successfully for over 20 years. “Climate change is resulting in an increase of pests per season and there are growing concerns about resistance to chemical controls (pesticides). In B.C., we have reduced pesticides used to control codling moth by over 90%,” stated Cara Nelson, General Manager/Director of Business Development with the Okanagan-Kootenay Sterile Insect Release Program. This locally funded and operated program has proven itself as a successful way to control a pest problem. Like birth control for pests, SIT uses small amounts of radiation to make the moths sterile thereby preventing reproduction. “It’s like having an X-ray taken at the dentist. The patient does not become radioactive. While the radiation is different it’s a similar concept in that the radiation goes through the insect,” states Nelson. While not widely known, research into codling moth SIT goes back to the 1970s when it was discovered that SIT could have profound benefits for the apple industry. The B.C. facility can produce approximately 780 million sterile moths per year at their facility. Currently, they deliver approximately 2,000 sterile moths to local growers per week. Traps are placed one hectare apart and they are checked weekly for both sterile and wild captures. The data is then uploaded via a smartphone app and sent off to local growers. Staff also carry out visual fruit inspections and monitor for “moth” hot spots. “Many growers in the area don’t even know what codling moth damage looks like because they’ve never experienced it,” says Nelson. “However, if we stop the program the pest will infest again,” she warns. For Nelson, she would like to see the success of this program go beyond B.C.’s borders. She hopes that both the provincial and federal government will make investments in further research and applications of SIT due to its ability to save agriculture economies while reducing the use of harmful chemicals. She believes that the benefits for SIT go beyond Canada’s borders and is currently working with other regions in Europe and the U.S. to provide both sterile moths and by way of knowledge transfer to help grow the acceptance and use of SIT as part of agriculture techniques. All thanks to nuclear science.